According to multiple news reports, Knott will be responsible for the bank’s paid, owned and earned media. He will report to CMO Kristin Lemkau. The news comes as NAB Australia has confirmed to CMO that Suzana Risteveski is now the acting CMO of the bank, replacing Knott, who announced his departure in May and left the company this month. Prior to Knott’s CMO role at NAB, he was the vice-president of media and digital for McDonald’s APAC. He has also worked as chief digital officer for advertising agency, Euro RSCG (Havas Worldwide), where he oversaw the digital agenda across social, mobile and content. Knott’s resume also includes senior marketing and digital roles, such as VP of marketing at Salesforce.com, and VP of strategy and operations at Ogilvy across Australia and Asia. He was initially recruited by NAB to fill the shoes of Sandra de Castro, who left the banking institution in July 2015 after more than four years. As reported earlier in CMO, NAB chief operating officer, Antony Cahill, said Knott delivered a transformative approach to marketing while at NAB, delivering market-leading capabilities in digital and customer analytics, which executed in a highly personalised and customer relevant way at scale. “Andrew joined us two-and-a-half years ago and, in that time, has re-positioned the NAB brand under More Than Money; a brand proposition that works for the entire NAB organisation. 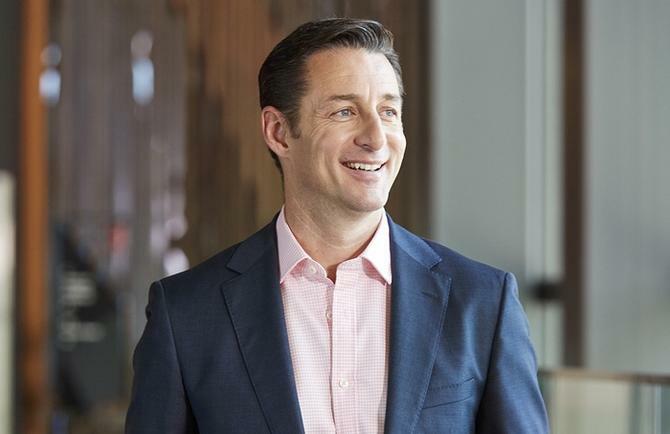 Most importantly he has focused on people – bringing key talent to supplement the existing team and providing career development and leadership opportunities,” Cahill told CMO. The brand repositioning work earnt Knott #20 place on the 2017 CMO50 list. CMO also recently reported that NAB dropped its GM of brand experience role and has elevated a number of brand managers to directly report to the CMO as part of a reshuffle of its marketing function. Michael Nearhos, the bank’s general manager of brand experience, left the company as part of a realignment of the marketing function aimed at improving the way brand experience is managed. As part the executive changes, NAB’s enterprise events team will now report to Ristevski - formerly the GM of business marketing and now the acting CMO - while local area marketing will be under the jurisdiction of the GM of consumer marketing, Karen Ganschow. According to CMO, these two senior leaders were brought on by Knott 18 months ago as part of a new-look marketing leadership team. NAB’s content and social team will also now be the responsibility of GM of digital marketing, Dylan Keath.